PRESIDENT Benigno Aquino III on Friday confirmed that Communist Party of the Philippines founder Jose Maria Sison will be returning to the country. 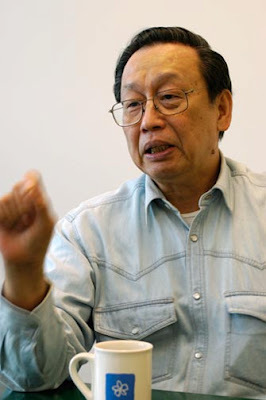 However, Sison, who has been on a self-imposed exile in Utrecht since 1988, would only return to the Philippines after a formal and comprehensive peace agreement between the government and the National Democratic Front has been signed, the President said. “Joma Sison will return home once there is already an agreement … There is ongoing negotiation for the signing of a peace agreement. 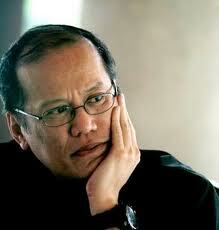 But negotiations for his return have not yet begun,” Mr. Aquino said. He also hinted that Sison could participate in the 2013 elections but did not elaborate. “We have an upcoming election. Whoever wins in the elections will represent the people and will decide for the majority. So the end point is if he returns to the country, it will be for the final peace agreement,” Mr. Aquino said. The anti-communist party-list group Alliance for Nationalism and Democracy earlier claimed that at least four members of Mr. Aquino’s Cabinet were convincing Sison to return to Manila to join the government as part of national unification efforts, a claim the Palace has denied. The group’s spokesman, Joey Sison, named presidential peace adviser Teresita Deles, presidential political adviser Ronald Llamas, Justice Secretary Leila de Lima, and government chief negotiator for the CPP-NDF Alexander Padilla as among the conduits of the communist leader. Below are 3 articles from the press in the Philippines on plans to start formal peace talks in early 2011 in Norway between the Government of the Republic of the Philippines (GRP) and the National Democratic Front of the Philippines (NDFP), which includes the Communist Party of the Philippines and the New People’s Army. 1. How do you see Alex Padilla and his team? Are they acceptable to the NDFP panel? JMS: PNoy [President Benigno Aquino] has made an excellent choice of Alex Padilla as the chair of the GRP Negotiating Panel. Alex has an understanding of the Filipino people’s struggle for national independence and democracy. He was a human rights lawyer and was once with Bayan. I also know Pablito Sanidad personally. He is also an excellent choice by PNoy. He is known as a man of integrity, a human rights lawyer, a patriot and progressive. I do not know the three other GRP panelists personally. PNoy as GRP principal has the prerogative of appointing his own panelists . His panel appears to be so composed as to encourage the belief that there will be serious peace negotiations towards mutually satisfactory agreements. Through NDFP negotiating panel chairperson Luis Jalandoni, the NDFP has already publicly welcomed and accepted the new GRP panel. 2. What should be a good starting point for the renewal of the talks?